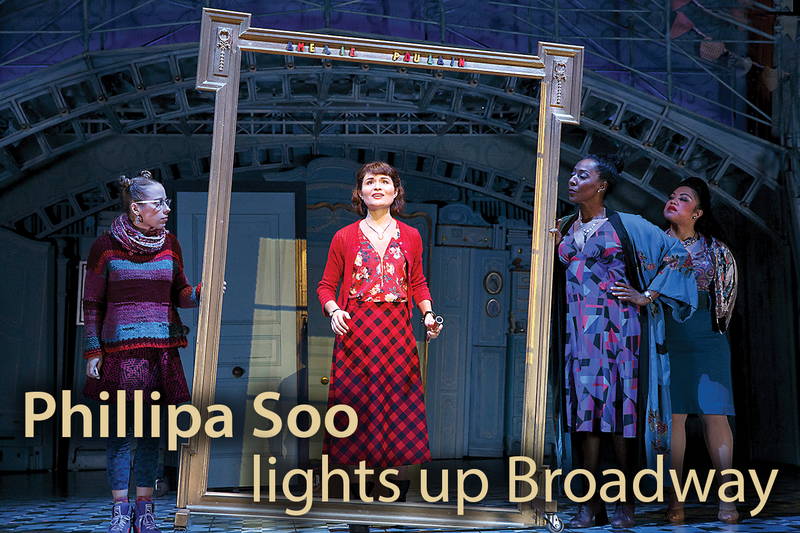 Phillipa Soo (center) as the title character of Amélie on Broadway. 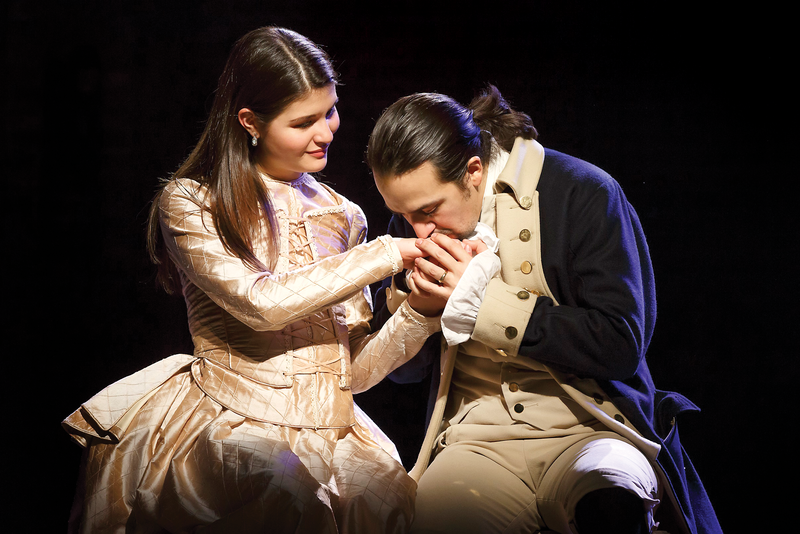 Phillipa Soo and Lin-Manuel Miranda in the original cast of Hamilton. Soo grew up in a creative household. “There was always music or art or dance or movies being made,” she says. Her grandmother was a concert pianist, and her mother, who worked in theatre administration, took her often to see new plays and Shakespeare revivals in Chicago. Soo made an early impact in Thespian Troupe 1344, earning the role of Leading Player in Pippin, which Libertyville High School took to the Illinois state festival during her sophomore year. More musical roles followed, including Demeter in Cats during her senior year, but Soo didn’t see herself as primarily a musical actress. "How lucky we are to be alive right now"
Impressed by Soo’s performance in the Off-Broadway production of Natasha, Pierre, director Thomas Kail invited her to be part of an informal table read of the second act of Hamilton Mixtape, as Miranda’s show was then known. Soon after, Soo was offered the role of Eliza Hamilton in the world premiere of Hamilton at the Public Theater. She accepted, foregoing the chance to make her Broadway debut as Natasha. Her experience in that first role, though, served her well as she began the next. “Natasha was great practice in how to tell a story through song and in how to find myself in an historical figure, both of which translated into my journey with Hamilton,” Soo says. Phillipa Soo (right) as Demeter in Cats at Libertyville High School. As part of her continued research for Hamilton, Soo interviewed Ron Chernow, whose book provided the source material for the musical, and she visited Graham Windham, a social services organization for children and families that started in 1806 as the Orphan Asylum Society, which the historic Eliza Hamilton considered her greatest accomplishment. "I can see the world I'm dreaming all around me"
As Hamilton marked its first anniversary on Broadway, director Pam Mac-Kinnon was planning the out-of-town tryout of the Broadway-bound musical Amélie, based on the Oscar-nominated French film of the same name, and she asked Soo to take on the title role. Amélie closed this past May, but within six months Soo was back on the Broadway boards with The Parisian Woman, again under the direction of MacKinnon. In this original drama by House of Cards writer Beau Willimon, who has translated the 19th century Paris of Henry Becque’s La Parisienne to modern-day Washington, Soo portrays Rebecca, a recent Harvard Law grad pulled into the political intrigue of Chloe (Uma Thurman), as the woman maneuvers an appellate court position for her husband. “My journey has already become much more interesting than I could ever have anticipated,” Soo adds. 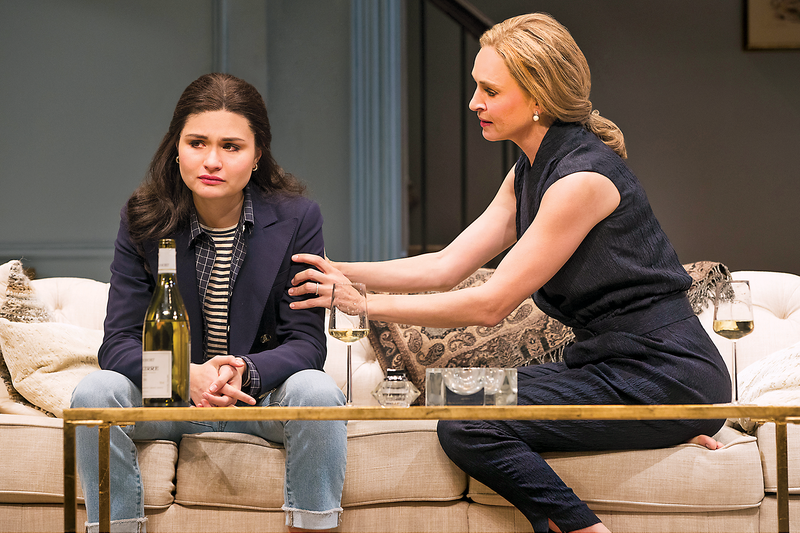 “My profession has led me to different places and different people and different ideas.” Most significantly, it led her to actor Steven Pasquale, to whom Hamilton costar Jonathan Groff introduced her in 2015. The couple married this past September. “That’s the best part about the past couple of years,” Soo says.